Windsor has a new Art Gallery! The Back Room Art Gallery is an extension of the existing Wyandotte Street East Artists Co-Op in Pillette Village and opens to the public with a reception a week from tomorrow. Founded by the Co-Op whose mission is to support the local arts with a public space for teaching and showcasing works, Back Room Art Gallery seeks to extend participation in the arts scene with frequent art exhibits and shows. The Back Room gallery’s grand opening starts at noon on Saturday July 3rd, 2010 with the introduction of summer-showcase Pirate-Dom featuring the world of pirates through fine art, jewellery, costumes, dance and poetry. Can’t make it to the opening? Regular hours are 12pm-6pm Thursday through Saturday. 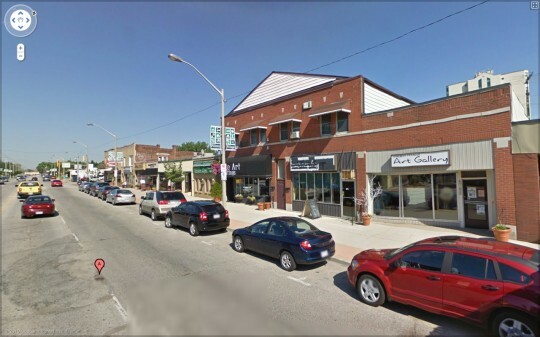 The Back Room Art Gallery is located at 4776 Wyandotte Street East (Pillette Village).